If only I'd penned and published this post last summer as intended. Back then, one of my favorite retro-game blogs, The Brothers Duomazov, was still alive and well. OK, so maybe "well" isn't the right word to use here. After all, it hadn't been updated in more than three years at that point. I bring up The Brothers Duomazov, by the way, because it was one of the only sites that offered up any real information on this obscure, Japan-only RPG from 1989. Also, it pushed me to buy a copy of the game. 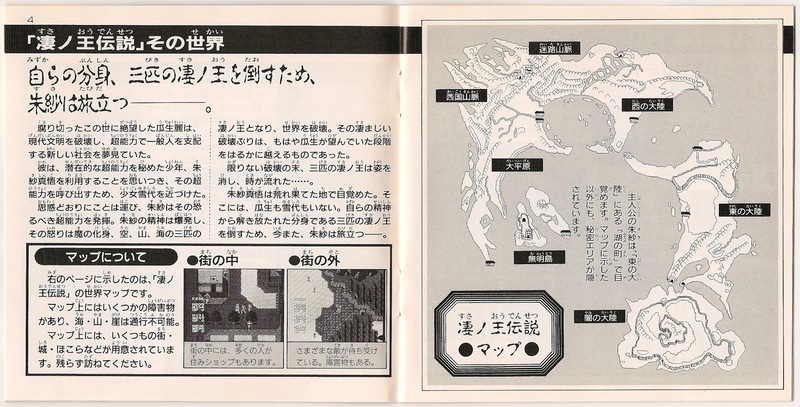 Before I read the brothers' thoughts on Susano-o Densetsu, I skipped right over it each and every time I came across it on eBay or my go-to online stores. What can I say? 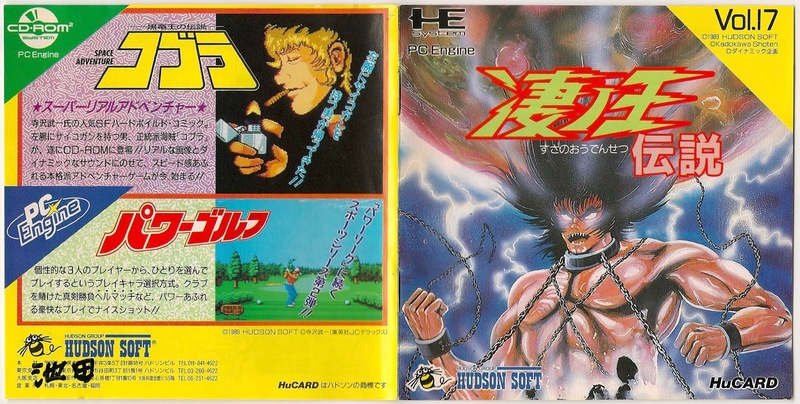 Its cover art screams "bad game" to me--despite the fact that a buff dude is front and center and the esteemed Hudson Soft logo sits just below his hairless torso. 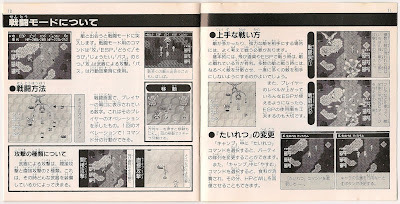 Well, The Brothers Duomazov opened my eyes to the fact that Susano-o Densetsu is far from a bad game. Actually, their write-up made it seem pretty darn interesting. 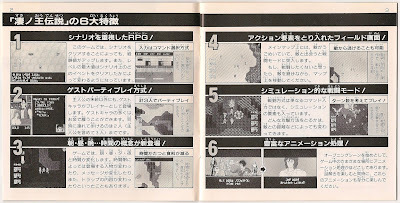 For starters, it's a HuCard-based role-playing game--an honest-to-goodness rarity as far as the PC Engine is concerned. 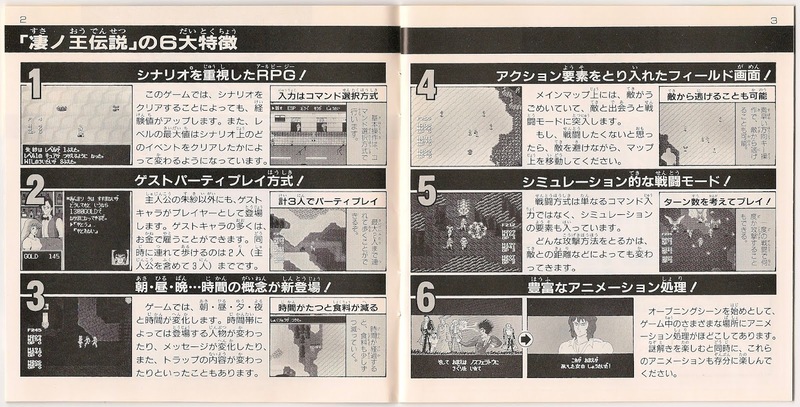 Also, its battles don't rip off Dragon Quest or Final Fantasy like pretty much every other RPG did in the late 1980s. Instead, fights in Susano-o Densetsu offer players a bit more freedom than was typical for the genre at the time. 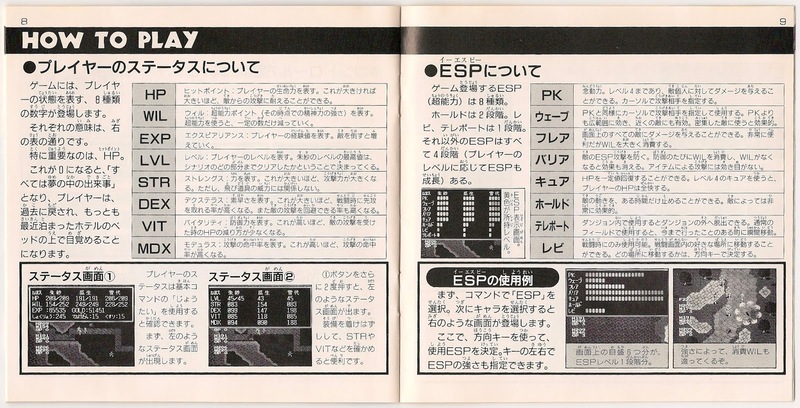 Combine that with this Alfa System-made game's cyberpunk-ish aesthetic, and it should be easy enough to understand why I'm now a proud owner of a complete copy. 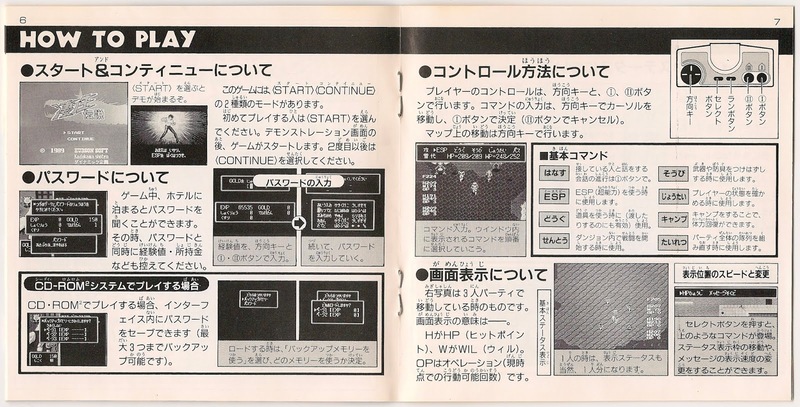 The instruction manual showcased in this post was pulled from the interior of that copy, naturally. It's quite something, wouldn't you agree? Admittedly, it could use a few (or a lot) more illustrations, but I think it's pretty fabulous even in its current state. 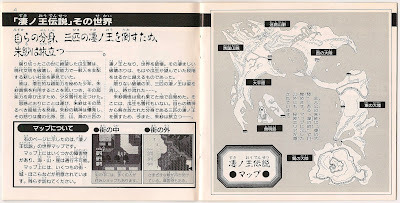 I especially like the full-page world map featured on its fifth page. 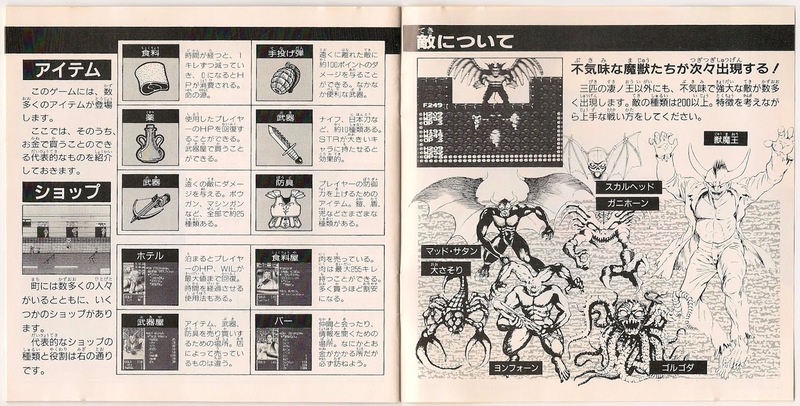 And of course I adore the item and enemy drawings highlighted on the Susano-o Densetsu manual's final spread. 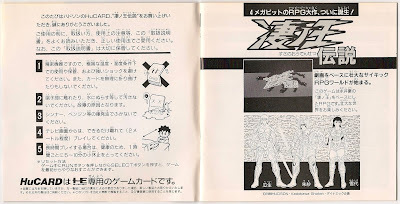 What's your opinion of this surprisingly beefy booklet? Do you love it? Do you hate it? Or maybe it doesn't inspire any kind of emotional reaction from you? Regardless, I'd love to hear your thoughts. See also: previous 'Manual Stimulation' posts about Dungeon Explorer, KiKi KaiKai, Parodius Da!, and Son Son II.